The world is in a terrible mess. It is toxic, irradiated, and full of injustice. Aiming to stand aside from the mess can produce a seemingly satisfying self-righteousness in the scant moments we achieve it, but since it is ultimately impossible, individual purity will always disappoint. Might it be better to understand complexity and, indeed, our own complicity in much of what we think of as bad, as fundamental to our lives? Against Purity argues that the only answer--if we are to have any hope of tackling the past, present, and future of colonialism, disease, pollution, and climate change--is a resounding yes. 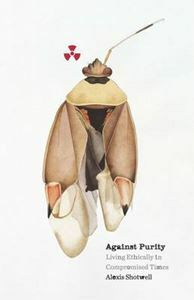 Proposing a powerful new conception of social movements as custodians for the past and incubators for liberated futures, Against Purity undertakes an analysis that draws on theories of race, disability, gender, and animal ethics as a foundation for an innovative approach to the politics and ethics of responding to systemic problems. Being against purity means that there is no primordial state we can recover, no Eden we have desecrated, no pretoxic body we might uncover through enough chia seeds and kombucha. There is no preracial state we could access, no erasing histories of slavery, forced labor, colonialism, genocide, and their concomitant responsibilities and requirements. There is no food we can eat, clothes we can buy, or energy we can use without deepening our ties to complex webbings of suffering. So, what happens if we start from there? Alexis Shotwell shows the importance of critical memory practices to addressing the full implications of living on colonized land; how activism led to the official reclassification of AIDS; why we might worry about studying amphibians when we try to fight industrial contamination; and that we are all affected by nuclear reactor meltdowns. The slate has never been clean, she reminds us, and we can't wipe off the surface to start fresh--there's no fresh to start. But, Shotwell argues, hope found in a kind of distributed ethics, in collective activist work, and in speculative fiction writing for gender and disability liberation that opens new futures.